Local, Exotic & Fresh Christmas Trees. 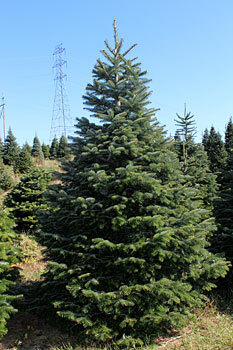 All Christmas trees are hand selected and cut the day you order it. We bring the freshness of the country to the big city, delivering farm-fresh trees directly to you. 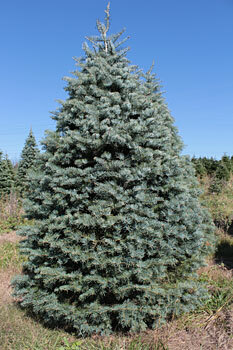 When you order a tree from us, you are ordering the freshest tree you can buy without cutting one down yourself. This is why we are able to guarantee you a beautiful tree right through New Years Day. Unlike the typical Christmas trees sold in NYC-which are cut in bulk, as early as October and shipped thousands of miles, polluting our air. 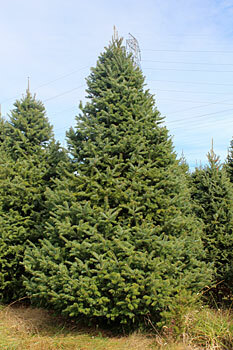 OUR TREES ARE CAREFULLY HAND SELECTED AND CUT TO ORDER FROM LOCAL FARMS. All of my trees are hand selected by me (The Tree Lady), cut by ‘The Farmer’ and then delivered to your home by Josh (my brother) and his elves. 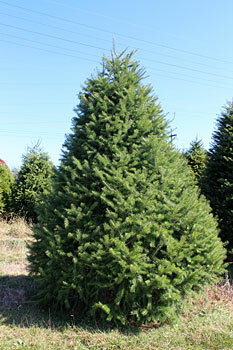 We are the only Exotic Christmas Tree Company in the Tri-State area. We only deal with LOCAL family run award-winning farms. 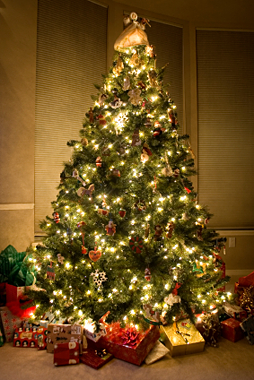 So if you want the most beautiful fresh cut Christmas tree and not a floor full of pine needles, call us now. 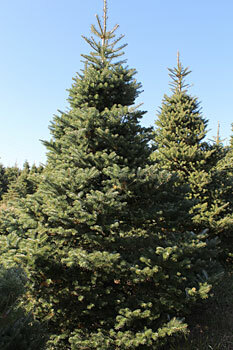 We offer many different species of exotic and domestic Christmas Trees: Balsam Fir, Concolor Fir, Canaan Fir, Douglas Fir, Frasier Fir, Korean Fir, Nordmann Fir, Scotch Pine and Turkish Fir. 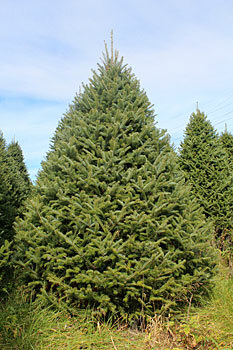 Remember all tree prices include delivery and FREE installation and are cut the day they are ordered and delivered. So if you are looking for a tree that will make all your friends jealous and even make Santa stand back in awe, look no further. *Prices at actual locations may differ online..